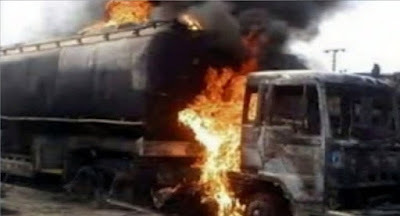 "A tanker carrying petrol had an accident between Osin/Itapa Ekiti axis of IFAKI - Omuo road a few hours ago. Petrol in the tanker has spilled on the bush that the tanker veered into. People living around this area should note this and avoid any act capable of igniting fire. Motorists using this road should also note.